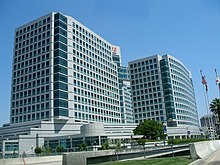 Silicon Valley’s status as the “most dynamic and rapidly tightening US office market” continues as GlobeSt.com receives reports of dramatic leasing activity not seen since the 1990s dot-com era. Due to shrinking vacancies throughout the Silicon Valley, a huge increase in development activity is taking place. “From 2008 to the middle/end of 2011, there was a complete stoppage of new-development activity for class-A office space, and that was largely a function of lack of construction debt from the lenders’ perspective,” Michael Polentz, co-chair of the real estate and land-use practice at Manatt, Phelps & Phillips here, tells GlobeSt.com. “Nobody was willing to do any spec development unless they had a tenant lined up. But by the end of 2011, leasing activity of existing product started moving at lightning speed. This was due largely to the low vacancy rate, and we had some large tech players that were presumably looking out strategically three to five years, recognizing that there was not a lot of existing product available, so they started gobbling up space.” GlobeSt.com recently reported on a similar phenomenon of space hoarding in the San Francisco office market. In 2011, the absorption rate of existing office product in Silicon Valley was approximately 2.7 million square feet, an amount that has not been absorbed here since the dot-com era of the 1990s, Polentz continues. Silicon Valley currently has about 10 million square feet of existing office product in the pipeline, and roughly one million square feet of that will start or complete construction in 2012, “so there really is a movement to capture some of the energy and the fast-paced environment of what’s being taken down from larger tech players in the Silicon Valley,” Polentz adds. According to Studley’s first-quarter Silicon Valley office report, the region’s vacant-available rate fell for the 10th consecutive quarter, dropping 1.6% to 13.4%. The class-A rate decreased even more markedly, falling by 2.5% to 19.9%. The region is the first among major U.S. metros to reach a new peak in office-using employment, which at the end of March was 3% above its prior peak in 2008. Significant chunks of space in the market—above 50,000 square feet—have been leased to Apple, Google, Dell, Twitter, Facebook and other thriving tech companies in the three hottest submarkets of the Silicon Valley: Cupertino (slightly over 3% vacancy as of the end of first-quarter 2012), Palo Alto (4.5%) and Mountain View (roughly 5.7%), Polentz tells GlobeSt.com. Apple, which currently occupies 80% of the office market in Cupertino, has rolled out a new spaceship headquarters design that will complete in 2015 at the earliest, and the company has taken approximately 1.2 million square feet in Sunnyvale with an additional 600,000 square feet on the horizon there by the end of the year. For more of the Globe St article, go here. This entry was posted on May 25, 2012 by pipros in In the News, Office, Peninsula, San Mateo County, Silicon Valley and tagged Market review.